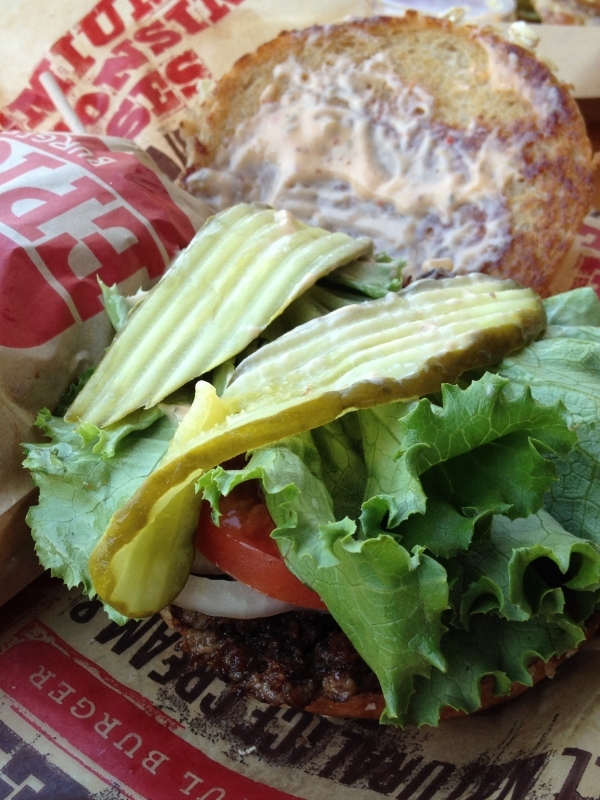 Pictured above is the Epic Burger single with lettuce, pickle, tomato, onion, and special sauce on whole wheat. I used this picture because the meat really shares the glory in this sandwich. Everything else is so on point (as Guy Fieri would say) – including just the right amount of special sauce, the full pickle slices, and the whole wheat bun encrusted with oats – that the relatively small size of the meat patty works perfectly. I’m always at least a little conscious of overdoing it and the double would have been messy and, quite simply, too much. I don’t want to short the meat on accolades though. Check it out. It’s full of nooks and imperfections and a crisping on the edges that adds a lot of flavor. It has a large diameter and is pressed thin so it’s almost exactly the same diameter as the bun. And the bun, that’s something special. The whole wheat gives it a strong flavor and the oat topping adds a crunch. It’s also considerably fewer calories than the white bun. They’ve given this thing a lot of thought. This makes two burgers recently which highlight the bun and use something smaller than the half pound patty (see Paradise Pup) and I’ve really loved them. I’m beginning to rethink certain parts of the burger code and welcoming these options. Speaking of options, my wife had the chicken sandwich and loved it, just loved it. The fries are luscious, skin-on, golden brown, and fresh. You also have options for a fried egg, bacon, and different cheeses to top your burger. I’ve never tried their malts but I will next time. There are a handful of locations in the region so there’s a good chance I’ll blow by one soon. I think they’re here to stay. We have so many great burger chains in this town. I really love going to burger places. 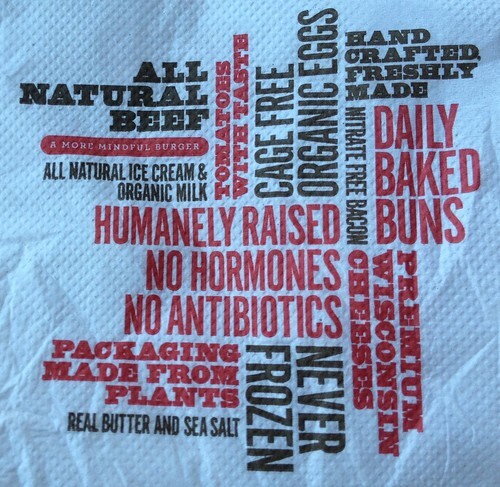 Here’s their napkin if you’re interested. It’s not cheap, at $5.99 the burger is pricier than the double at comparable local chain M Burger, but I like Epic Burger a little better (trying something different soon though at M Burger). Note also the slick calorie counter Epic has on their site. Nice touch. Nice job. 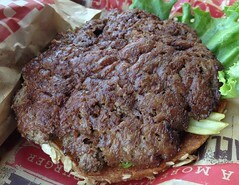 Posted in food, tagged burgers on 2012/08/22 by John.